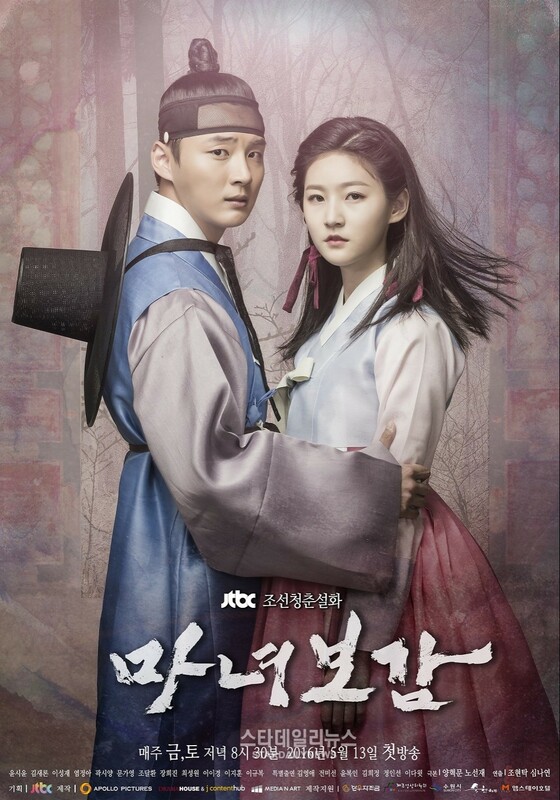 Mirror of the Witch 마녀보감 is a 2016 Korean fantasy drama starring Yoon Shi Yoon and Kim Sae Ron. 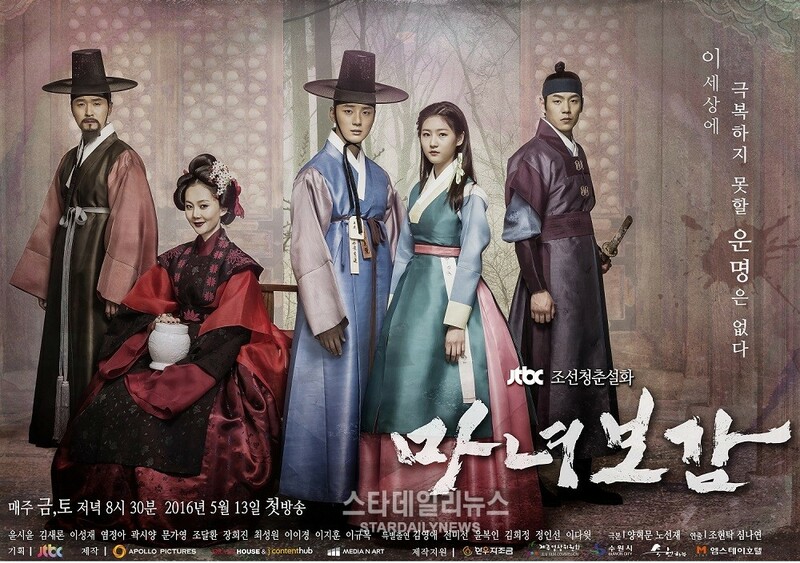 He is 29 while she is a veteran child actress who is still in her mid-teens at merely 15. 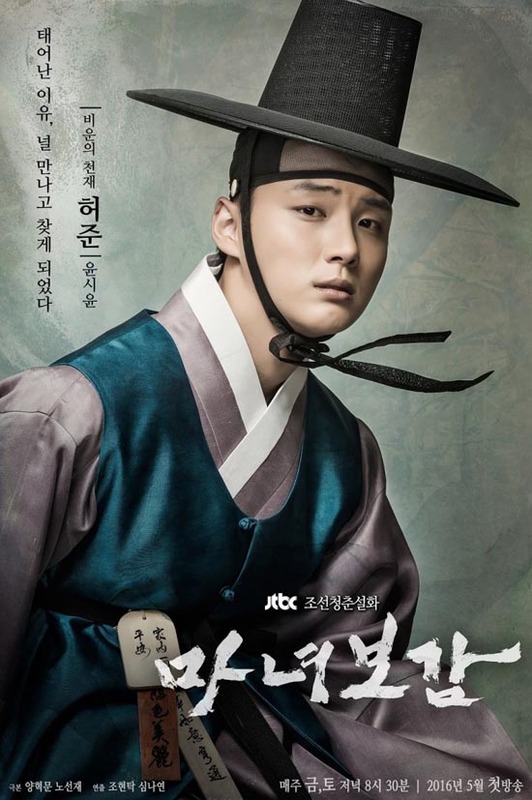 I remember Yoon Shi Yoon from the mega-hit k-drama Baker Kim Tak Goo and Kim Sae Ron as the little girl alongside Won Bin in k-movie The Man From Nowhere. Despite their proven acting prowess, I am a bit skeptical at any hint of romance between the two as much as I don't want to be that person complaining about the age gap. Though I have to admit, the stills are alluring enough to sway me to the dark side. The story begins with a queen unable to have a baby who she seeks the help of a shaman to help her conceive. 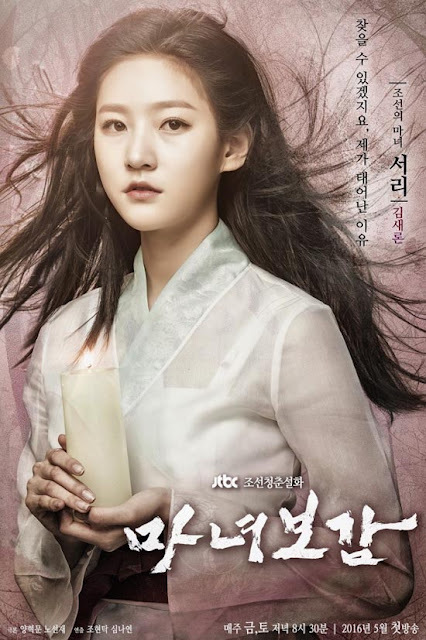 Unfortunately, one of the twins Princess Seo Ri (Kim Sae Ron) is born with a heart as cold as ice and she lives in seclusion until a chance encounter with Heo Joon (Yoon Shi Yoon), a man of illegitimate birth, because it wouldn't be a k-drama otherwise without the typical drama tropes. The premise is so wonderfully fantastical, mashing up Disney's Frozen into a historical drama and it premieres May 13 on JTBC (eng subs on Viki).